Elford is a pretty village on the banks of the River Tame, in the Lichfield district of Staffordshire. 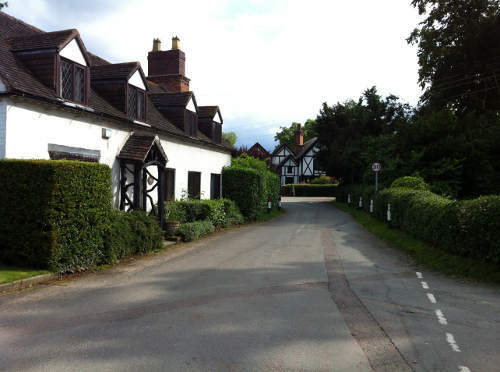 It is close to the A513 and a short trip from Lichfield and Tamworth. The village has a mixture of older and newer houses, and with the surrounding farms these comprise around 290 households and 650 people. Elford, which began as ‘Elver-ford’, dates back hundreds of years. The centre of the village has been designated a conservation area. There are several historic buildings including St Peter’s Church which was built in the 14th century. 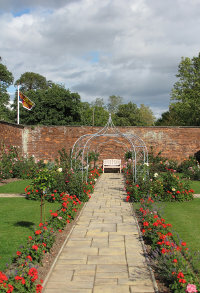 The manor of Elford is no more, but a part of it survives as The Walled Garden, which has been created and maintained by local volunteers. The village is well known in the area for its community spirit. Elford has good facilities for a small village and there is a varied and interesting social calendar. There is a modern Village Hall, used for meetings of local groups, a variety of events and for wedding receptions and other celebrations. There is also a historic pub, The Crown. Local amenities for families include the Howard Primary School. A post office service is available weekly at the Village Hall. The large sports field hosts football and cricket teams, and an excellent children’s playground run by volunteers. This website is maintained for the people of Elford by the Parish Council, and on here you will find details of what the Council does, who your Councillors are, and what they do to for Elford. Please contact us if you have events which you wish us to mention, to send photos of recent events in the village, or to make suggestions for our site.